Great coaches have the desire to be the best. They want, not only to coach, but to be impactful. They want to send a message to their players and community that there is something special about their program. The questions become; How do coaches create this environment? Is it charisma? Is it talented players? How can coaches rise above mediocrity and create an environment where all players thrive? How do coaches create a culture of excellence? An example from the basketball world in which a coach intentionally created a positive “essence” for his program is Coach K and USA basketball. 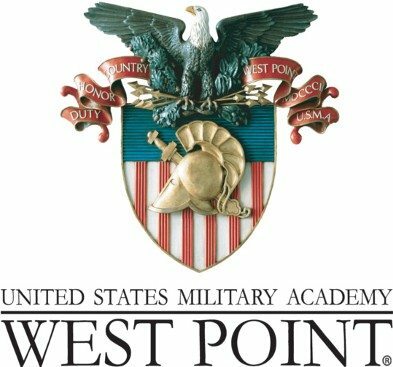 One of the first trips Coach K took with his team was to West Point Military Academy. The USA players saw first hand what commitment and service looked like and felt like. This trip started to create an environment of pride and patriotism in his program. Coach K also organized a trip to Ellis Island where he spoke fondly of his grandfather and the risks he took coming to America. Coach K deepened the “feeling” that USA basketball is pretty important. Virtues like sacrifice, service, and patriotism inspired the USA athletes to play for a cause greater than their self interests. There certainly is a positive vibe associated with USA basketball, that was not always associated with the program. Certainly, not every coach can take their program to Ellis Island or to West Point for that matter. However, all coaches can be mindful of their program’s essence. Coaches should spend time in reflection asking thoughtful questions. How does it feel to be an assistant coach in my program? How does it feel to play for me? How does my athletic director feel when he/she sees me in action? How do parents feel about their son/daughter being coached by me? How do fans feel when they watch my team play? How do I as a coach honor tradition — respecting those coaches and athletes that went before me? These reflective questions help coaches really dig down deep and analyze themselves as a leader. According to heartmath.org, people can feel what is inside someone up to approximately 10 feet away. Coaches are either energy givers, who make people feel better, or oxygen thieves who deflate good will or feelings. Author Jon Gordon uses the term “energy vampires” for people who drain positive energy from a group. Coaches who end up being difference makers create an environment where players thrive; where teammates hold each other accountable, and where players feel like they are part of something really special. In previous posts, I have been writing on the concept of book studies, or leadership talks to help foster a winning environment. Coaches are constantly looking for ways to get an edge and create a positive “essence” for their program. Book studies and leadership talks can create a mental edge that tough grinding practices cannot. Elite athletes want more than to be pushed and challenged; they want to know why hard work is important. Elite athletes want a purpose, or a reason for their training. Transformational coaches are able to connect training with success, not only on the court or field, but in life as well. Book studies or leadership talks can put success in context, and lead athletes to start thinking and acting differently. Through these book studies or leadership talks, athletes begin to feel they are part of a program that is different, that is cutting edge, that cares not only about what they do, but cares about who they are. These experiences can create a positive “essence” about a program that people can feel. In prior posts, I have been sharing my recent book An Elite Journey: A Young Man’s Leadership Story, with the hoopcoach.org readers. The main character CJ Harding, goes through a transformation after reading his late father’s leadership manual written for ELITE military officers. His dad created an acronym for the word ELITE, and in four previous posts I shared one letter with each article. First, CJ learns that elite people value education. That knowledge is power,and one’s mindset is often the difference between winning and losing. The second letter represents leadership, and that leadership is a choice. The “I” in ELITE stands for integrity, and that there should be no gap between what you say and what you do. The fourth letter “T” is for team, and the importance of surrounding yourself with positive goal oriented people. In my final post I would like to share the last lesson CJ learns from his father; the importance of being committed to excellence in all that you do. As is the case with many elite athletes, CJ battles with perfectionism. He is trying too hard, and it is blinding him to the progress that he is making. CJ also struggles with living in his late father’s shadow, who was an elite athlete himself. His father’s legacy casted a large shadow over CJ, who struggles dealing with comparisons. Through his dad’s writing, CJ learns the true meaning of excellence. He really liked the poem his dad included by an anonymous author. This is what excellence is all about! In everything! In every way. CJ also likes what his dad wrote concerning comparing yourself to others, he wrote, “when you compare – you despair.” CJ begins to understand that he is on his own journey of excellence, and that excellence is a process one commits to every day. The section on excellence has led to a lot of great discussion in various team talks and leadership groups. Furthermore, readers have really enjoyed CJ’s trip to West Point and the lessons he learns there. CJ’s personal transformation helps him function better with his coaches, his teammates, and his family members. Building a brand of excellence in your players, helps create a positive “essence” around your program. People will feel the positive energy. You do not need to be a Division I power house to have a good vibe running through your program. Just doing a little more, being a little kinder, going beyond the call of duty, doing more than is expected, that is what great companies like Disney strive for, and that is what all coaches should want for their program as well. The feedback I have been receiving has been really positive. I have especially appreciated how the story has resonated with people of all ages and experiences. Currently, high school basketball teams and leadership groups are using my book. Even a few AAU coaches and college teams have reached out as well. I especially have enjoyed the positive feedback from our Michigan Elite 25 players. As mentioned in previous posts, the elite 25 program is reserved for the best players in the state of Michigan. Tim McCormick and Mike Dietz, the camp directors, purchased a book for each athlete. If you are interested in finding out more about the book, please visit my website michaelmassucci.com. You can also follow me on twitter @coachmassucci for any current news on the books or recent articles.